Will This Be the Biggest Surprise at This Year’s CES? You won’t believe who will be at CES this year. With nearly every tech company on earth set to unveil a new gadget at the 2016 Consumer Electronics Show (CES), there are sure to be some amazing surprises. But we have insider information on what might be the most surprising occurrence at this year’s CES. Are you ready? A 109 year-old real estate brand will have a booth at the show. Oh and they’re also a title sponsor. Shocking, right? What on earth is a real estate brand doing at the biggest electronics event in the Western hemisphere? The answer is simple: leading the way in educating how the smart home revolution will impact our homes. 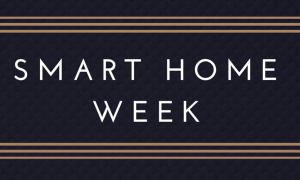 For the past few months, Coldwell Banker has been working with the likes of LG, August Smart Locks, Nest, Tesla, Lutron and CNET to better educate consumers on the impact of the smart home devices on our most treasured asset: our homes. At this year’s CES, Coldwell Banker is a title co-sponsor of the smart home exhibit and our booth will act as an editorial hub for live-streamed interviews, smart home device demos, and social streaming of everything smart home-related at this year’s show. We’ve already lined up interviews with major tech brands Sony, LG and Phillips as well as some names you may not have heard of but who’s products you will in the near future like Sengled, Halo Smart Labs and Vivint. We’ll also be releasing a first-of-its-kind 360-degree video tour of the home of New York Knicks legend, Patrick Ewing, using Google Cardboard and which is currently for sale on coldwellbanker.com. As if that wasn’t enough, results from a new CNET/Coldwell Banker survey asking consumers about their perception of smart homes will be released and we will participate and host a few panels on the impact of smart home devices when buying or selling a home. 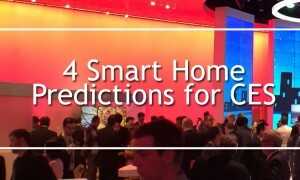 Starting on January 4th, you can keep tabs on everything smart home and CES related by visiting ces.coldwellbanker.com. You can also join in the conversation by using the #CESCB hashtag on Twitter and Instagram. How will the future of smart home tech change the way we live and love our homes? We’ll have the answer for you by the end of this year’s CES. We peer into our crystal ball to assess what smart home tech will emerge from the upcoming Consumer Electronics Show.